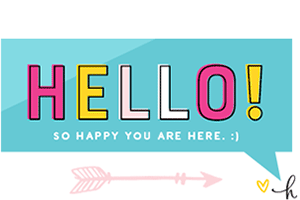 You know me (guest author Jessica Wilcox, of Modern Moments Designs) and FREE things! 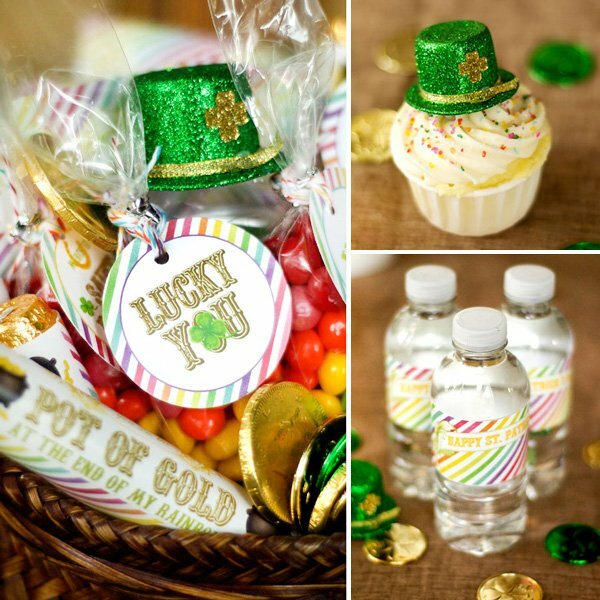 I love to get FREE things and I LOVE to give them even more… so let’s just say that today is your LUCKY Day! 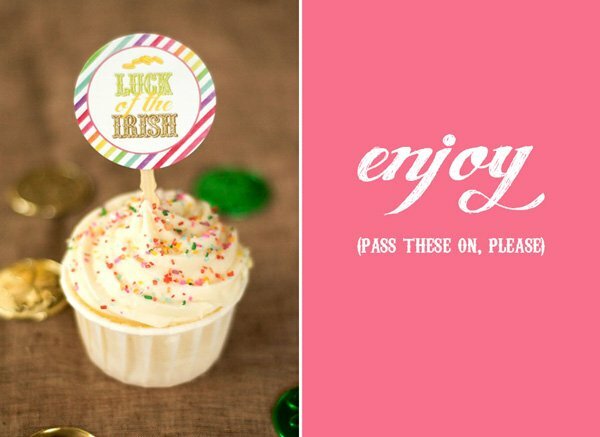 I’ve noticed a lack of cute and unique St. Patrick’s Day printables out there… almost everything is your typical green and white. 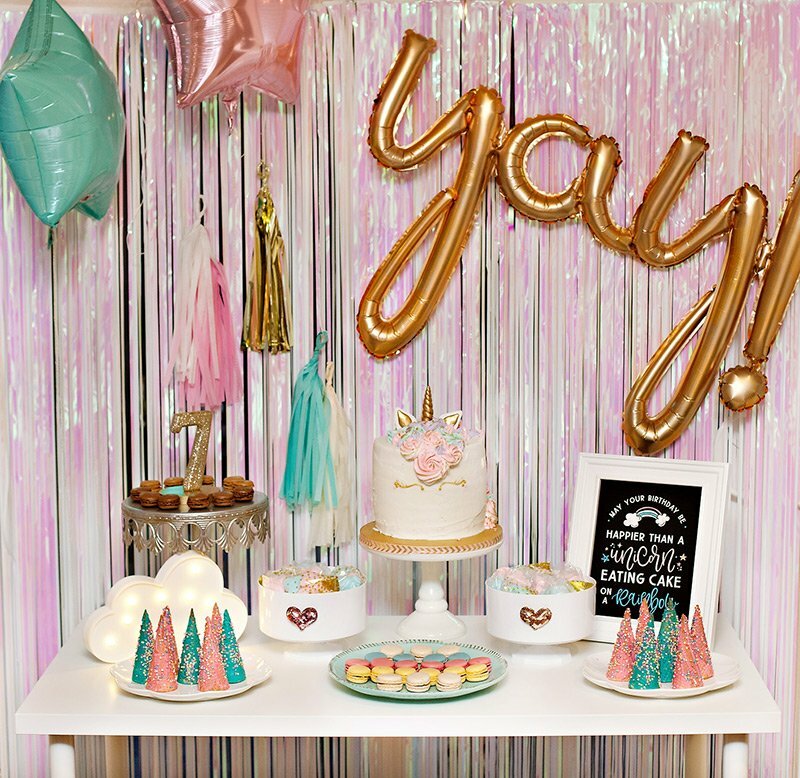 I really wanted to design a new set this year and incorporate a rainbow print and a lot of fun elements. First, I wanted to use full-size rollo packs, which I got at Target for $0.79 each. (I also called my local Cash and Carry and they sell boxes of 36 for $22, which would make a great gift for your child’s entire class). Several ideas I saw incorporated the “loose” rollos, but I thought it would be fun to create a full wrap. I simply unwrapped the old one, grabbed my cute “Pot of Gold at the end of the Rainbow” wrap and used double-sided tape to secure it! Super simple, but super cute! 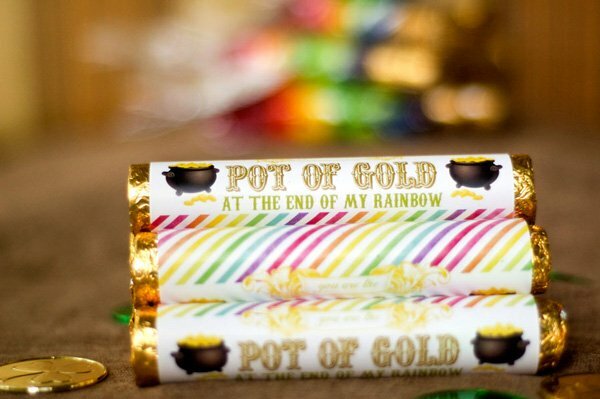 Second, I created bags of “Rainbows and pots of gold“. I took pretzel bags from Jo Ann’s Craft Store , a bag of Rollos, and two different bags of Skittles Candy (I used a bag of original Skittles and Riddle Skittles). I added a few Rollos to the bottom and then started backwards with the rainbow starting with purple. 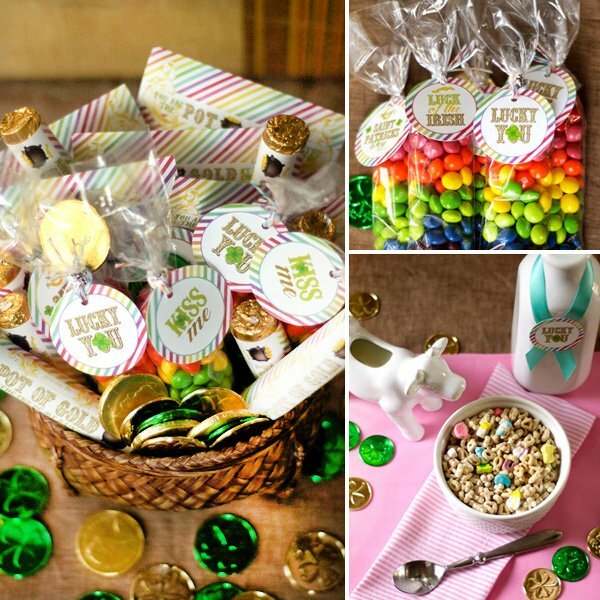 My rainbow included two shades of green and pink too! I know pink isn’t “technically” a part of the rainbow, but I added it anyways because I LOVE pink! You can also do this with M&Ms too (this was my original inspiration). Okay, so this next project was a HUGE undertaking. 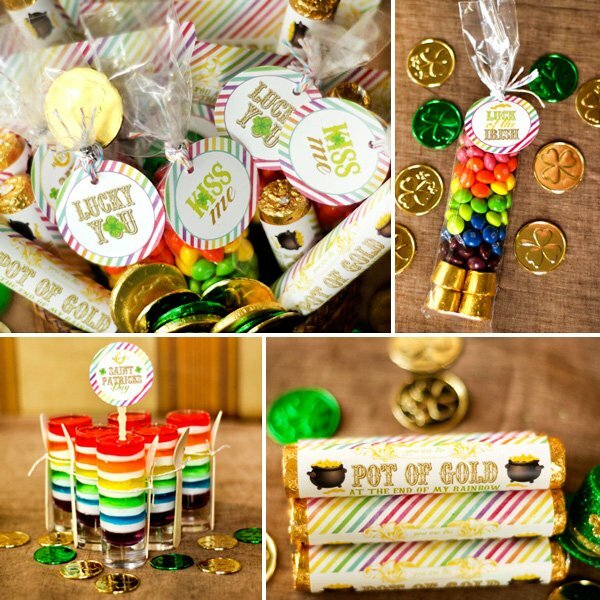 Have you seen the oh-so-adorable Lucky Rainbow Jello by Glorious Treats? I just thought these were so cute and I had to make my own! WARNING: THIS TOOK ME FOREVER. Probably because this was my first time making these, I didn’t follow instructions and use the “small” boxes of Jello, and I was trying to do all of these crafts at once. I also used smaller glasses (I used my double shot glasses that are so fun to make mini desserts in). I must say though, these did turn out super cute and we’ve been enjoying eating them! The last project didn’t exactly turn out how I had planned. 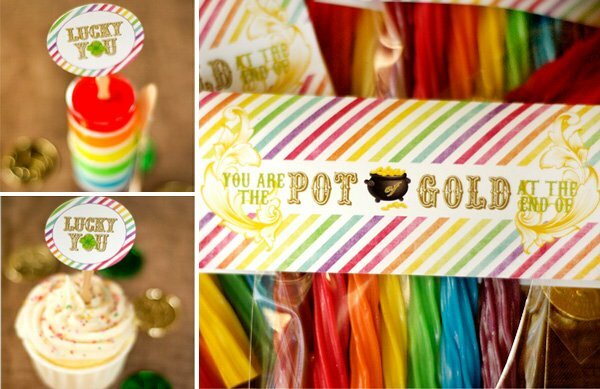 My inspiration was this “Pot of Gold Rainbow“. I wanted to add a fold over bag label to mine, but let’s just say I had some sizing issues. I didn’t buy the right size bags, so I had to deviate from my original plan. Pretend that the bag toppers are the right size, please! 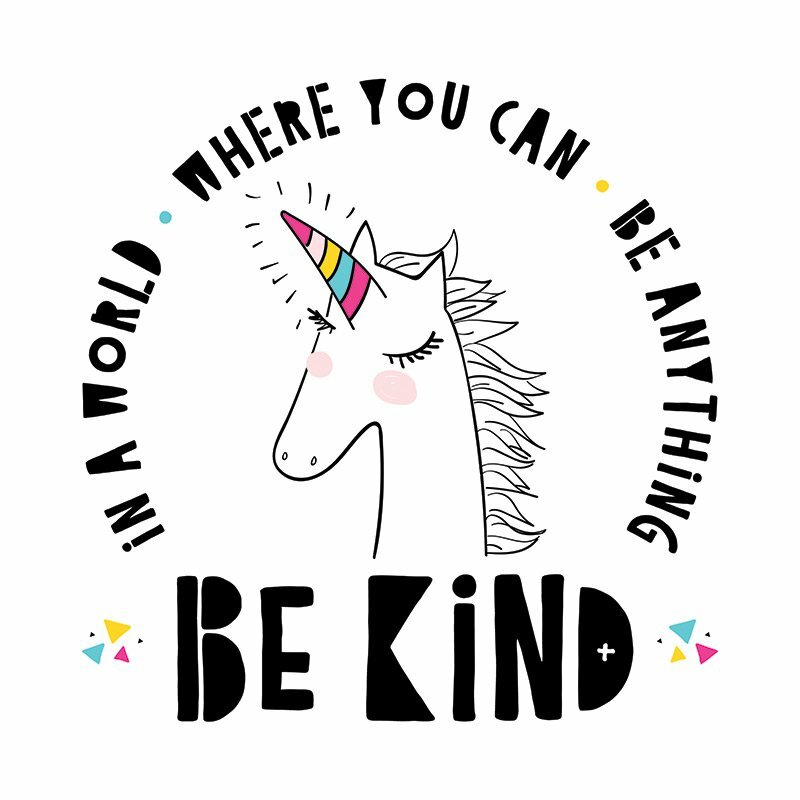 I ended up buying regular Twizzlers and Rainbow Twizzlers. I was originally going to replace the pink one with the red original Twizzlers, but just ended up adding the pink in. Since my bags were too short, I added either rollos or chocolate gold coins to the bottom of the bag, cut the Twizzlers in half and stuck them in the bags following the colors of the rainbow, with my pink addition! Even though my toppers were not the correct size, they still turned out cute. 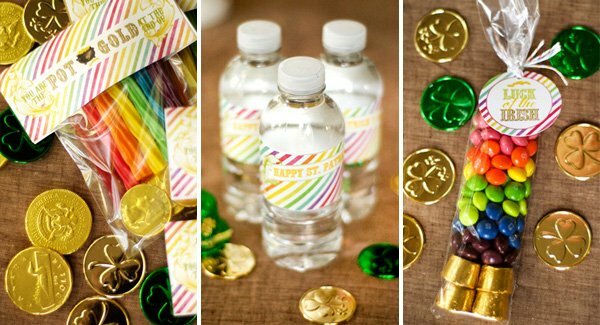 Lastly, no party is complete without party circles/cupcake toppers or mini water bottle labels. These are my all time favorite mini waters from Trader Joes. I just can’t get enough of them. 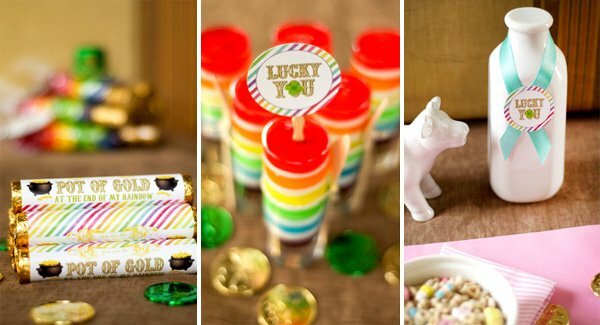 These would be perfect to throw into your little one’s lunch box too! Happy St. Patrick’s Day! 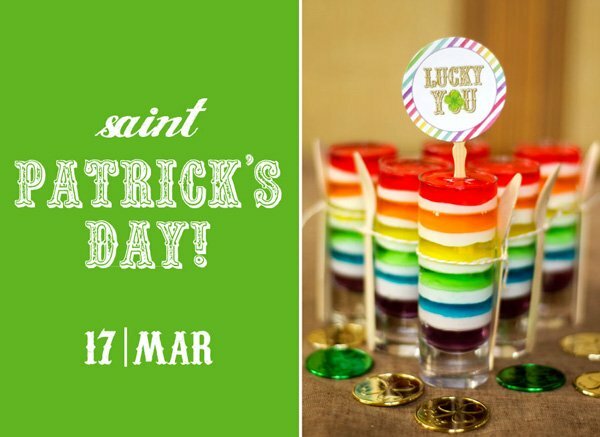 May the LUCK of the IRISH be with you all!!! No problem you guys!! Hope you enjoy them! 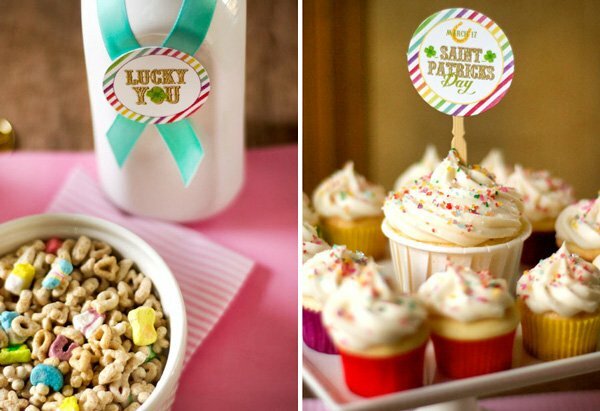 What an adorable assortment of St. Patrick’s Day treats and printables. 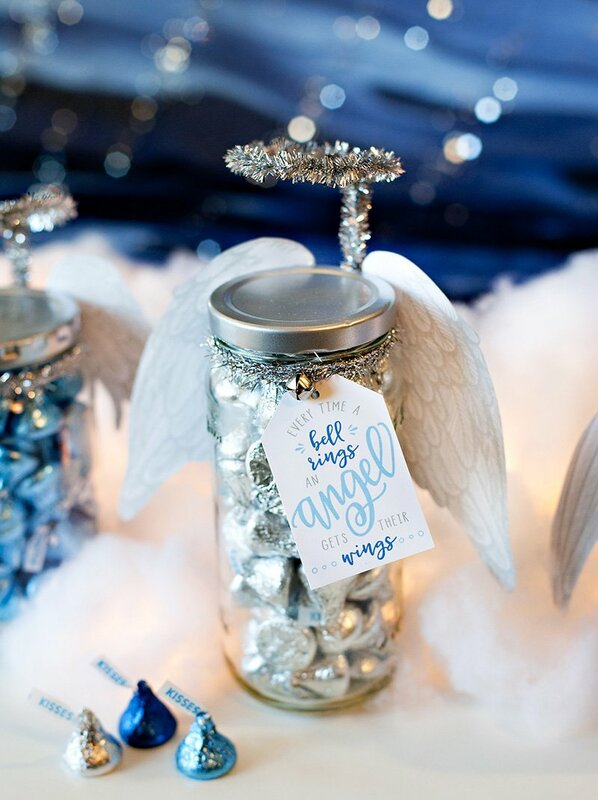 I love all of the different options for adding a sweet addition to this holiday. 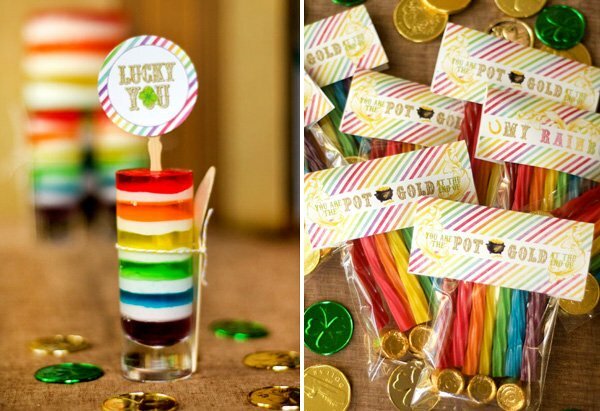 My favorite are the rainbow jello towers. I’m sure they’re tricky, but the result is so fun! ( ผูกเสี่ยวขอขอบคุณข้่อมูลจ่ะ / Thanks 4 Sharing by PhukSiew ). You have a fantastic and creative mind! Exactly what I wanted to have on my daughter’s first birthday which incidentally fall on St Patrick’s day! 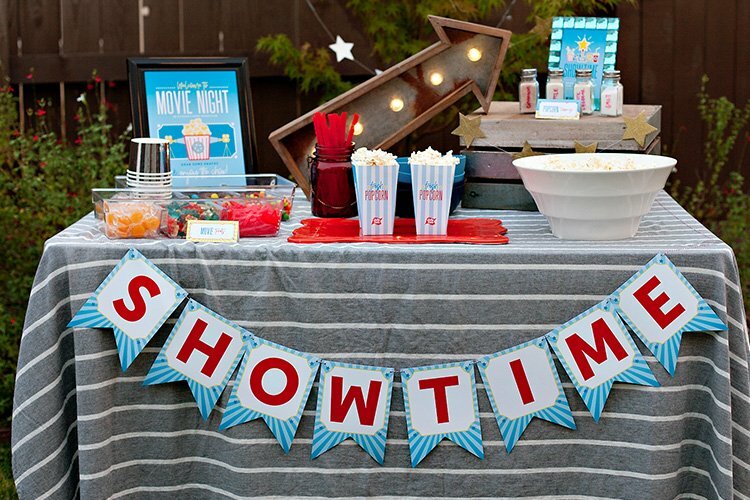 I love your ideas and I can’t get over how cute these simple things have turned out to be.Presently, I’m half sorted with the preparation but definitely would love to incorporate your suggestions! Thank you so much for unselfishly sharing your gift with us. God bless you more! thank you thank you thank you soooo much! 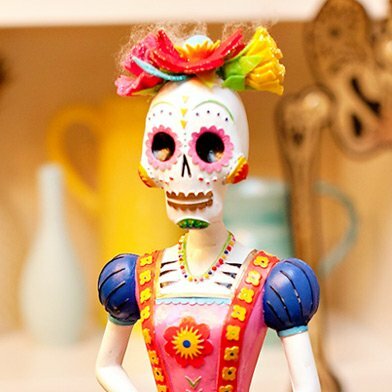 you are seriously UBER Creative!!! my children and i will soooo enjoy this bunch of beaut’s decorated around the house & on our favv chocolate treats ;D ;D thank you!